You’ve got to give Mississippi State Representative Bobby Moak (D – Bogue Chitto) credit – he does not give up. For the third time in four years, he has introduced a bill into the state legislature that would legalize and regulate online poker in the state if passed. House Bill 306, titled the “Mississippi Lawful Internet Gaming Act of 2015,” was referred to three committees – Rules, Gaming, and Ways and Means – on January 12th. It requires a three-fifths vote to pass and would become effective on July 1st. Despite the formality of that date, Moak admits that the bill probably won’t go anywhere this year, as it is an election year in Mississippi. Online gambling is typically thought of as controversial and politicians do not like dealing with those types of things during an election year if they don’t have to. Moak hopes that the introduction of the bill will at least reignite discussion about legalizing online gambling and set the stage for the future. An effective state regulatory and licensing system for online gaming would inhibit underage wagering and otherwise protect vulnerable individuals, ensure that the games offered through the Internet are fair and safe, stop sending much-needed jobs and tax and fee revenue overseas to illegal operators, provide a significant source of taxable revenue, create jobs and economic development, address the concerns of law enforcement, and ensure that only those persons of good character and fitness, who meet strict criteria set forth in law and regulations, are suitable to facilitate and conduct online gaming activities. HB306 appears to be very focused on protecting Mississippi’s online gaming industry and players. If person offers online gambling to residents of the state without holding an interactive gambling license, he can be fined up to $100,000, imprisoned for up to ten years, or both. An unlicensed company that makes online gambling available to people in Mississippi can be fined up to a quarter million dollars. These punishments are per violation, so assuming offshore gaming companies were to take the law seriously, the threat of getting hit for that much money would likely keep them out of the Hospitality State. 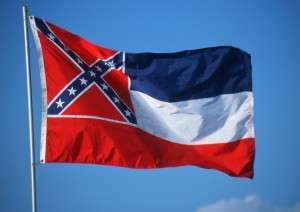 The bill also tries to protect Mississippi residents from themselves. If someone, just an individual, private person, is found gambling on an unlicensed site, he can be fined up to $10,000 and put in jail for as many as 90 days. Additionally, anything the player uses to gamble, such as his computer, and anything traceable to gambling winnings, can be confiscated. He brings up a good point. If unlicensed gambling sites are undeterred by possible penalties and decide to go ahead and recruit Mississippi players, anyway, it will not do much good to go after the state’s residents. Resources would be wasted running around nabbing college kids, moms and dads, and retirees who intentionally or unintentionally played on a site that had not been properly licensed. Instead, the state should focus on shutting down the companies that offer the games in the first place. The bill also permits for online gaming compacts to be made with other states in order to combine player pools. 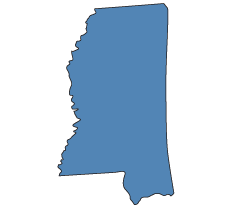 Mississippi isn’t a small state, but with an estimated 3 million residents, it is still in the bottom half of state populations. It is barely bigger than Nevada and as we well know, Nevada has struggled to fill its virtual tables to this point. Mississippi is the brick-and-mortar capital of the south, and several major gambling companies who have properties there also have them in Nevada and New Jersey. Deals amongst the three states naturally make sense. Of course, that would be up to the state governments and not the gambling companies. Interestingly, Allen Godfrey, Executive Director of the Mississippi Gaming Commission, has come out in the past as being opposed to online gambling for fear that it would take away from his state’s casino traffic. Representative Moak actually holds the exact opposite view, seeing online gaming as a way for existing casinos to bolster their businesses.